Your initial appointment will consist of Dr. Franzetti and his staff listening carefully to your chief complaint(s) and reason(s) for visiting the office. There will then be a thorough review of your Medical and Dental Histories with a Comprehensive Periodontal Examination. In order to render accurate diagnoses, a diagnostic set of x-rays is usually required. 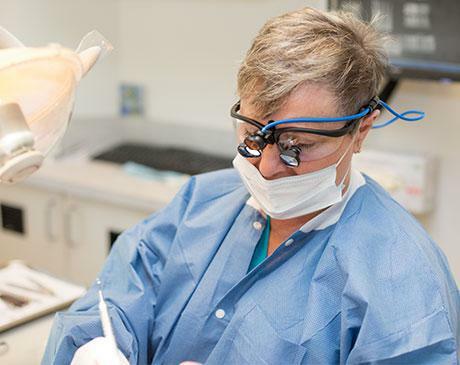 Depending on the complexities of each case, patients are frequently asked to return to the office for a separate consultation regarding your specific treatment options. If you are in extreme pain, we will make every effort to relieve your pain through emergency treatment, and then schedule you for the necessary follow-ups. If you have dental insurance, bring your current insurance card. If you don't have one, we will need the subscriber number, group number, and phone number. This will save time and allow us to help you in the processing of your claim. If your dentist or physician has taken x-rays, please have them forwarded to our office as they may be helpful in your diagnosis. Digital X-rays can be emailed to us at info@drfranzetti.com. If additional images or films are necessary, they can be taken at our facility. Please print and complete the Health Questionnaire at home before your first appointment. If you need assistance with downloading or printing the questionnaire, please contact our office.